As one of the most popular cycling events in China, Colorful Yunnan International Granfondo founded by Nordic Ways, was awarded the Annual Event Experience Award in the recent China Bicycle Annual Award Golden Bicycle Award. This well-deserved honour went to Granfondo Yunnan because of its distinctive cycling environment and event service. 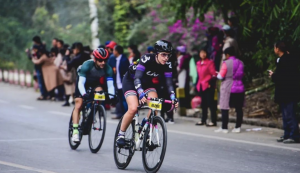 Mass-participation endurance cycling events, better known as Granfondo, had become a globally phenomenal concept and it was opportune to introduce it formally to China. Nordic Ways seized the opportunity and they were the first to establish an officially labelled-Granfondo in China. Now it has been the 5th year that the race achieved its national prominence. The organisation keeps expanding its influences and scale along the time. Let’s behold its upcoming cycling spectacle in 2019!